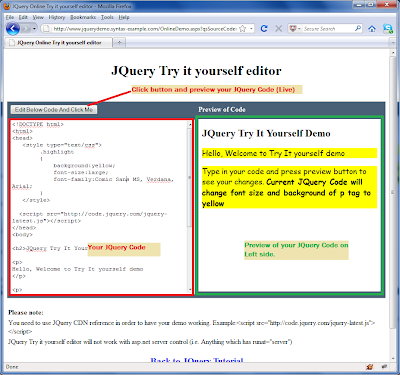 JQuery Try it yourself editor, is a way by which you can test your JQuery Code live. With JQuery try it yourself editor you can modify your code and test that live. Here are few screenshot of how try it yourself editor looks like. 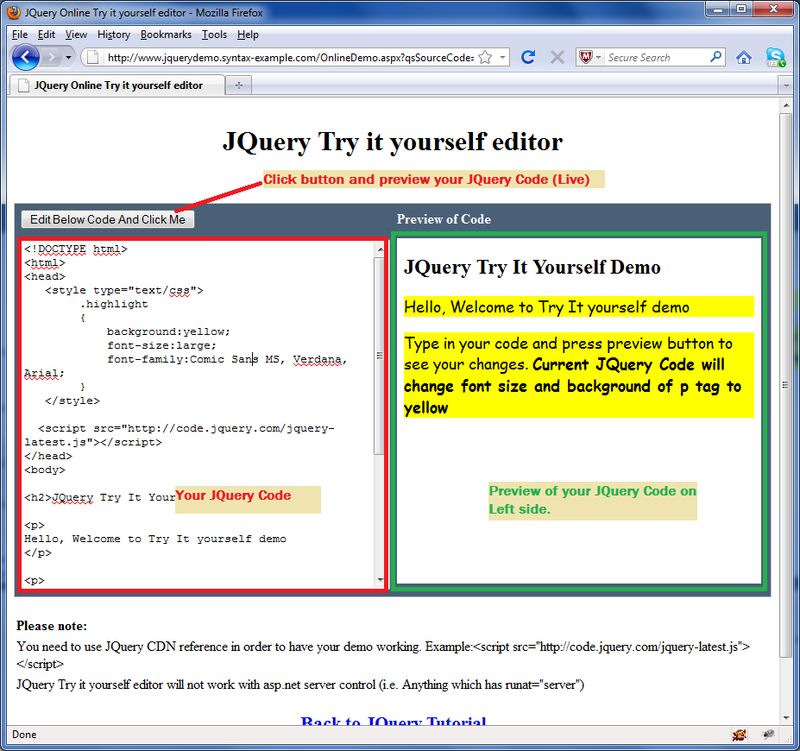 We will be using this JQuery Try it yourself editor extensively to preview our demo.